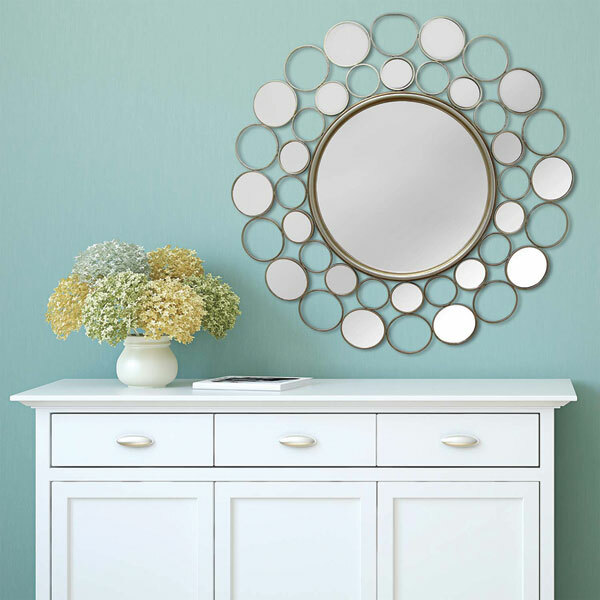 Decorate a bare wall in your home with the Kimberly Wall Mirror. 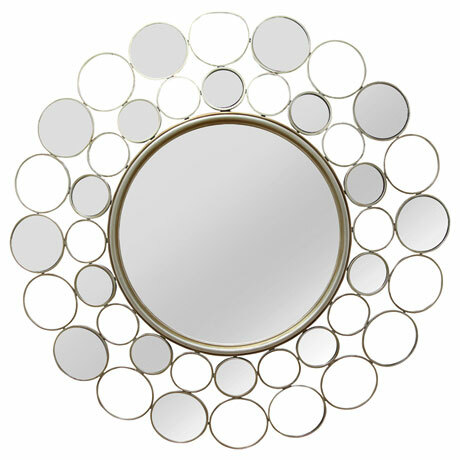 Made from solid metal with a silvery-champagne finish, this round circle mirror is simple yet striking. Display it among pieces of contemporary decor for a chic look. 30" wide x 1/2" deep x 30" high. Allow 2 weeks for delivery. No rush delivery or gift box. Item can only be shipped within the Continental US.